The local police station in every community is the first line of defence against criminals. However, over the past seven years, a staggering R225.6-million was paid out for civil claims against the South African Police Service (SAPS) in the Eastern Cape. Over the past two years, the numbers remained high, with 1 150 claims costing the province R73.2-million. Communities want to be able to trust the police unconditionally and feel safe and protected in an orderly environment. What a waste of money. Hundreds of vehicles could have been bought with this amount. Communities want to see police vehicles on the beat rather than hearing about SAPS being beaten in court settlements. The bad apples who are guilty of brutality and lack of discipline cannot be allowed to tarnish the good work being done by our policemen- and women, often under very trying circumstances. Bad behaviour casts doubt in people’s minds. 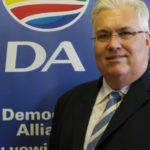 The DA believes that to deliver an effective crime fighting and community protection service, the conduct and integrity of police service members must be above reproach. Police officers should not flout the law, they should uphold it. In 2017/18 the amount paid out being R39 062 264.24 for 473 claims. Active steps must be taken to rid the system of corrupt members, to end the scourge of police brutality and to ensure that police criminality is appropriately dealt with. This requires the commitment of senior managers in the police service and the necessary political will to enforce the existing regulations. Proper oversight can act as a catalyst for improved police performance. In March 2013, the Western Cape legislature passed the Western Cape Community Safety Act to improve provincial oversight over the police service. The Act gives effect to Section 206 of the constitution that requires provinces to identify their own policing needs and priorities, to “oversee the effectiveness and efficiency of the police service” and to “promote good relations between the police and the community”. When we become the governing party in the Eastern Cape we will introduce legislation to improve provincial oversight over the police. — Bobby Stevenson MPL, Shadow MEC for Safety and Security.